How to Correct, Update or Change the details of voter id card in online? Voter ID card might have issued with the wrong details or with stranger details there would be a chance to happen these mistakes, also you may need to update your Voter ID details or would like to change Voter ID. Well, now it is simple to correct or update or change your Voter ID card online. All Indian citizens Voter ID card’s computerized also feasible to change, correct or update details online. 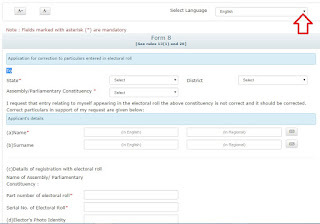 How to correct or change the details of voter id card in online? We can easily change, update or correct the details of Voter(EPIC) id card online. All States have their independent web portals but NVSP is a common web portal for all states citizens, they are allowed to check and update, correct, or change their voter card details. Here you get a complete guide to pictures to understand the process. What documents we required to correct the details of Voter ID Card Online? And your details aadhar card number etc…. By seeing these images and steps you can easily understand how to correct, update or change the details of voter id card in online. 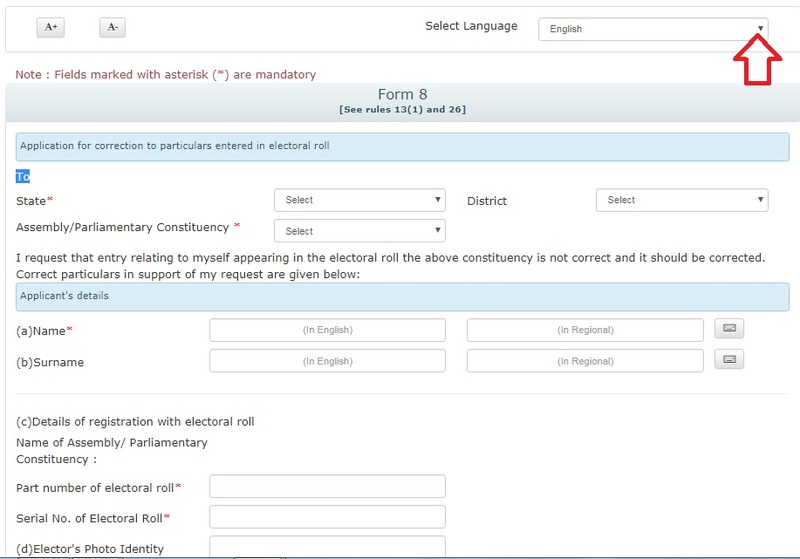 Step1: how to correct voter id card in online? After submission- note down the application number for future reference to check the corrected voter id card status. After watching this video you can easily understand how to Correct the details of Voter id Card in online. I had submitted form online for my voter id correction, But by mistake I had fill form submitting date instead of date for living year on that address. Now my status is under process, May I correct this mistake. Please suggest. not sure but we have a option u should fill form number 8 to correct all details. After correcting voters details, how will I get updated new voters card. I had submitted form with correction, when and how can I get corrected voter ID? I just change my name and address online and pressed the submit button. It's successfully but my question is that from where i can get my physical voter id card.? the photograph, name and address on my voter card require to be changed. how should i do it/ my aadhaar card has been updated. kindly advise (my mobile number is 8090732844). I want to change both my address as well as my name on my voter card. However in Form 8, i am able to change only one thing in one application. Can i submit two applications? Yes, you can submit two applications. It's not possible to update Name and Address in a form8 application.